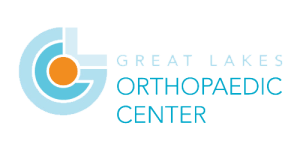 Welcome to Great Lakes Orthopaedic Center, the region’s top resource for orthopaedic care. Located in the heart of Northern Michigan, our depth of surgical specialties allows us to offer comprehensive care on a world-class level. With board-certified surgeons and a highly trained team, we continue to research and advance our leading practice for the benefit of our patients. To maximize results for each individual, we rely on a continuum of care within GLOC. Our on-site Physical Therapy and Orthotics departments work closely with our surgeons and physicians to assess and treat patients before and after surgeries. Having a complete team of specialists involved in your recovery means quicker results — saving time and money and hassle. At GLOC, we’re focused on helping you manage your health by educating you and aligning your goals with our knowledge. We are a leader in the health care community and take pride in seeing our patients regain their maximum amount of lifestyle. You truly deserve the best care and, thankfully, it’s right here in Northern Michigan. Go forward, Go GLOC.